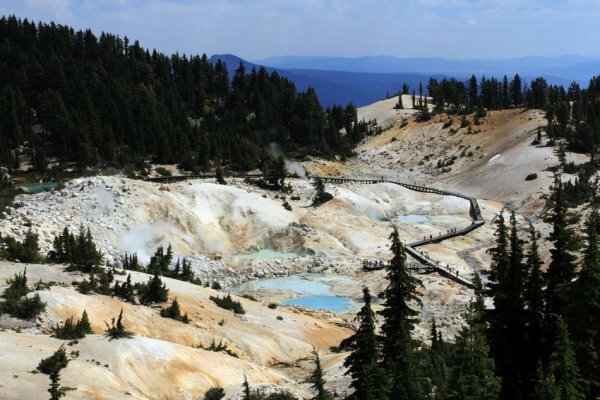 When exploring Lassen Volcanic National Park and hiking Lassen Peak we decided to also hike Bumpass Hell, one of the parks most well-known attractions. Bumpass Hell was named after Kendall Vanhook Bumpass who stumbled on this area in the late 1800’s while he was hiking. It is named Bumpass Hell because he fell in one of the steam geysers and ended up losing a leg. The area itself is a geothermal area that has many steam vents that continuously pour out steam and sulfur gases from the molten lava that is running 5 miles under this area and the forest ranger there told us some of the water is so acidic it is like stomach acid. Read on for photos and a recap on the hike. The hike to this area is 3 miles round trip and should be relatively easy for most people. 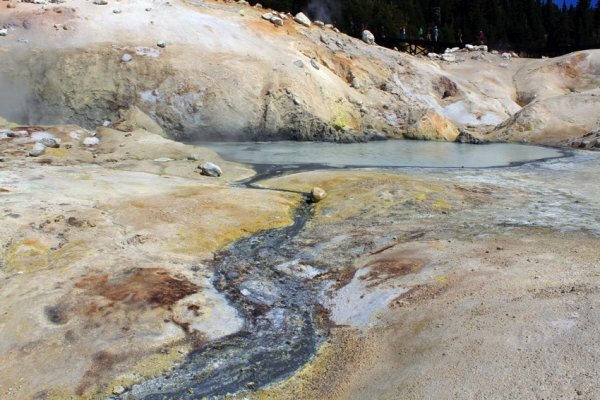 The Bumpass Hell area is something that should be experienced in the park, even though you have to smell the gross sulfur, the site is unlike anything you have seen in California. To start the journey, you will set out on a trail that goes along the edge of a mountain. Along the way there are beautiful vista points that overlook the forest and streams below. 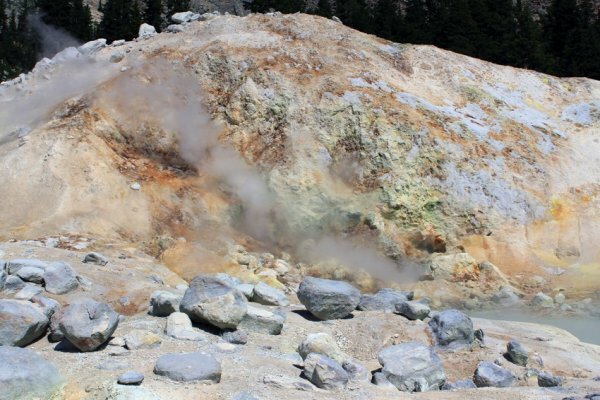 When you reach the Bumpass Hell area after about one and a half miles you’re immediately greeted with the strange colors, loud noises coming from the big boiler and an overwhelming smell of sulfur. The terrain itself is almost otherworldly. 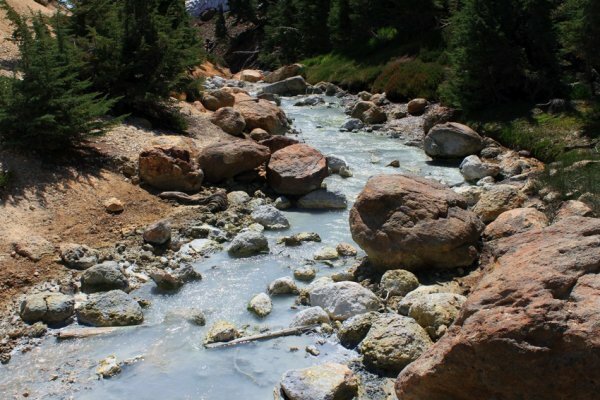 There are a lot of orange, red and bluish rocks all over due to the sulfur mixing with the ground and the creek that comes off Bumpass Hell is made of entirely grey water. There are also many different mud pots that constantly boil from the heat that is coming up from the area. 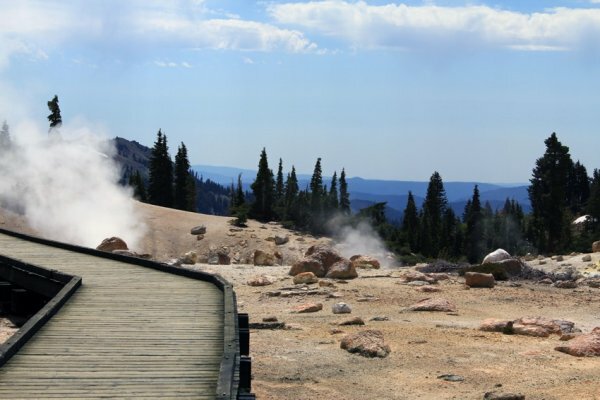 You won’t have to walk along the brittle ground though as there is a boardwalk installed so you can see all of the pools, geysers, and steam vents. Big boiler, the central steam geyser in Bumpass Hell has water that reaches 320 degrees Fahrenheit. After about 30 minutes walking around the boardwalk and taking in the sights, we headed back to higher ground and to escape the smell of the sulfur. 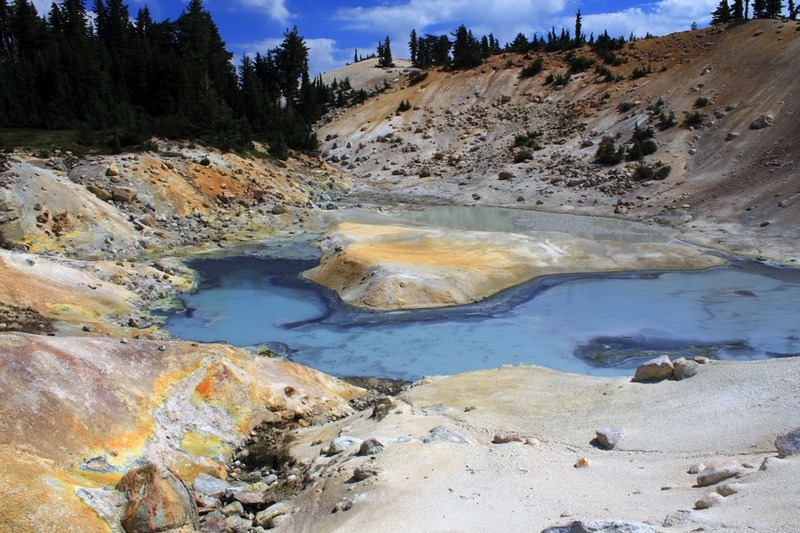 Bumpass Hell is one of those places that really has to be seen to be believed. When I originally saw the pictures, I wasn’t sure what to expect, and it exceeded my expectations. I would recommend checking out this area as it is an easy walk and it is something that you never really get a chance to see. 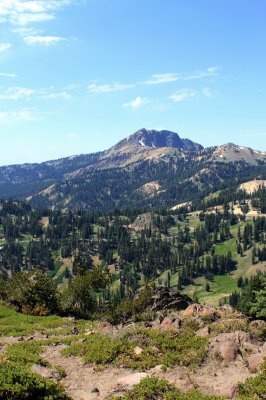 Let me know what you think in the comments and read more about Lassen National Park here.